Are You The Ultimate Vacation Planner? Are you ready to turn that love into a career? Are you a Vacation Virtuoso whose first love is travel or someone already in sales who would rather sell something you love and believe in? You’re in the right place for a career where you do what you love and make serious money, all from your own home! Whether your first love is Disney Destinations, Cruises or European Vacations, we have a specialty just for you. Train and work from home and in some of the most beautiful and exciting locations in the United States and all over the world! To get started, read this page thoroughly & subscribe to the email series below. Ever since opening our doors in 2005, we’ve grown in relationship and sales every single year, even when the economy wasn’t thriving - EVERY year! We have earned designations including Authorized Disney Vacation Planner with Walt Disney Travel Company, Authorized Travel Professional with Universal Orlando Resort, membership in the Earmarked Travel Advisory Council, along with numerous sales and integrity awards throughout our time in the travel industry. Because of our longevity in relationship, integrity and sales, we are able to provide both online and onsite training opportunities, including customized FAMS for our agents at resorts on both coasts and at sea, exclusive opportunities for our team to experience education, familiarity and immersion without waiting for space to open up in a “Mega-fam”. Many of our thriving agents have been with us for over a decade and continue to be excited about their job, leading the way for team support on difficult booking days, providing helpful advice and fielding round-the-clock answers to every kind of question. Unlike other agencies, we don’t just provide the opportunity and support to learn the products agents sell, we also provide extensive opportunities to learn HOW to market yourself and how to sell online, with each new agent finishing our basic course as part of their initial training. Every two years we gather together for our National Meeting with almost 100% agency attendance, where all participants become certified in advanced sales and marketing education, along with meeting their mentors and bonding with the rest of our team. Our structure is unsurpassed in the industry. From training to technology, mentoring to vision, we are exceptional. Our webmaster, Brady provides technical support for email, online forms and other hurdles. Our Operations Manager and Agent Advocate Charlene, along with an agent’s mentor and area leader, is everyone’s first call when either something difficult happens or (much more often) when something happens worth celebrating. The owners of 3D Travel lead the way on the front end with Carol-Beth providing the Vision, Sales & Marketing support and on the back end with David tracking sales, commission, growth and making sure everyone is paid promptly. We are a purely commission based company and have no employees, only independent contractors. 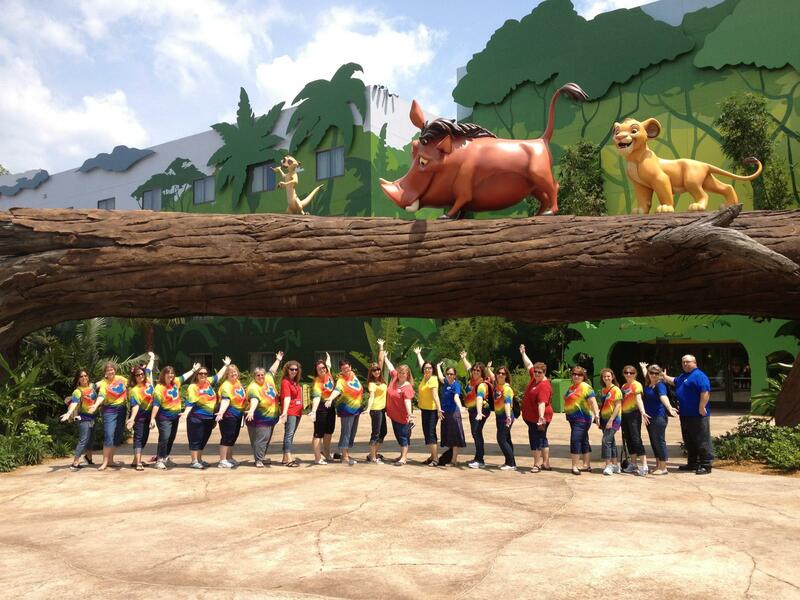 What sets us apart from other Disney Destination, Cruise and Universal Orlando Agencies is we work as a team. We train together, meet and travel together as often as we can and we share the burden of the work that is required to make the magic happen. Who leads our team? Carol Beth is in charge of Marketing, Promotions and vendor relations. Her goal is to help you find ways to build your sales and believe in yourself. David handles all commissions, including chasing yours down if need be. He also handles payroll and processes and does the money end of all our dealings with any vendors or promotional outlets. Charlene is 3D's Daily Operations manager. She handles the application and all major processes on a daily basis. She is the first point of contact for every applicant from application to contract offer & also oversees certification training. She also oversees all group trips and is 3D's agent advocate. Brady of Go Mylo Web Design cares for the website and email. If you have questions, please email us and we’ll get them added to our process. Thank you for your interest in joining the team at 3D Travel!